PU sieve plate,screen,,wear-resistant PU plate,impact-resistant plate, buffer sheet, PU scraper blade_Yantai Fushun PU Products Co., Ltd.
Yantai Fushun PU Products Co., Ltd., located in the cradle of PU industry—Yantai, is a professional manufacturer of PU screen, PU sieve plate and PU sheet, a private high-tech enterprise integrating research, production and sales of PU elastomer, and the strongest and largest manufacturer of PU screen in Shandong. 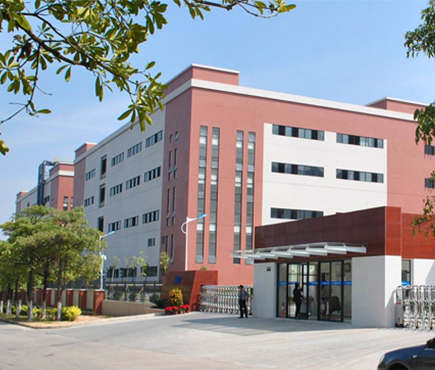 Our company boasts domestic most advanced PU elastomer production equipment and a lot of professional technicians with many years of production experience, uses the best raw materials, mature technology and advanced formulation at home and abroad, and produces various PU elastomer products according to user needs. Our products mainly include PU sieve plate, screen, wear-resistant PU plate, impact-resistant plate, buffer sheet, PU scraper blade, lining plate, mechanical overlay, PU rubber canvas plate, rubber-coated iron plate, PU rod, PU rope, PU head sheave liner, seals, PU auto parts, Wheel stopper，PU rubber hose, mining roller, wheel, mining impeller, sheath and various PU machine parts. Five kinds of new products including PU rubber canvas plate have obtained national patent, and our company has been awarded “Shandong Star Enterprise for Patent” by the Intellectual Property Office of Shandong Province. Our company reaches the domestic advanced level in the aspect of product inspection quality and technical index. The PU products are featured by wear resistance, oil resistance, acid and alkali resistance, ozone resistance, ageing resistance, low temperature resistance, tear resistance, impact resistance, high elasticity, strong vibration absorption ability and high load capacity, and are widely applied to the industries such as national defense and military industry, mining machinery, building machinery, chemical machinery, textile machinery, wood processing, printing machinery, metallurgy manufacturing industry, agricultural machinery, sports equipment, etc. Our mining PU sieve plate and screen products with various models are substitute products for manganese steel, rubber and stainless steel sieve plate and screen, and are used by more than 100 mining units all over China. The life is 4-11 times that of manganese steel screen and more than 5 times that of rubber sieve plate. The PU slush pump piston cup is used in the oilfield and the life is more than 5-6 times that of rubber piston. The PU rod is used as coupler and the life is more than 6 times that of nylon rod. Our company provides wear-resistant auto parts for domestic car manufacturers throughout the year. Moreover, our company has established long-term partnership with many domestic famous enterprises, and won praise and trust of users owing to the excellent product quality and good reputation. Motto: Create Brand by Credit, Win Market by Quality. Our products have won recognition and praise of users all over China and are exported to dozens of countries and regions including North America, South America and Europe by virtue of this quality concept. Principle: Survival by Quality, Development by Credit. We will sincerely provide customers with excellent products and service. ©2018 Yantai Fushun PU Products Co., Ltd.